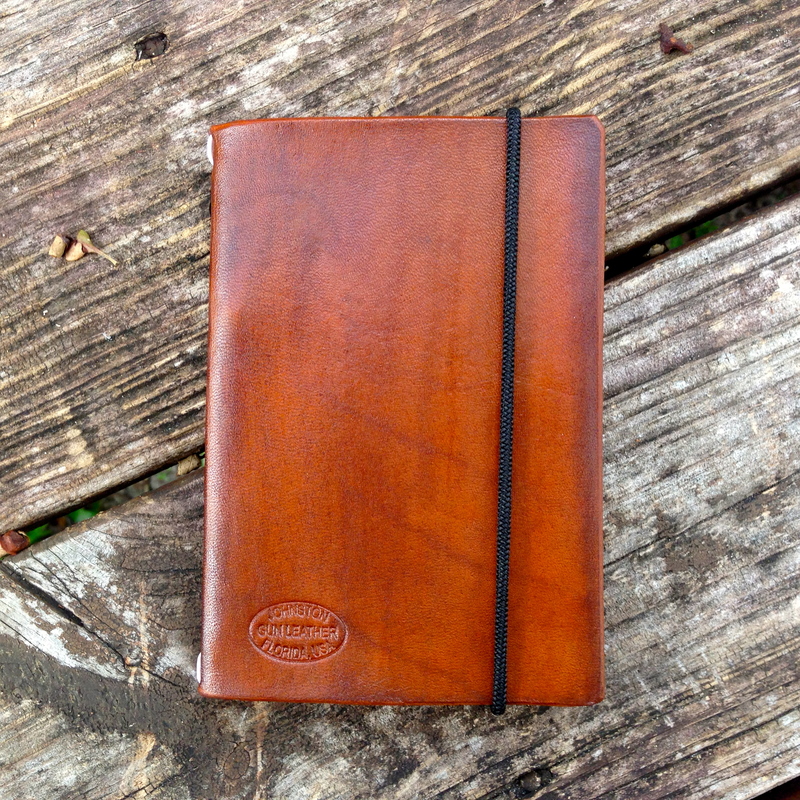 The JGL Small Journal Cover is made out of choice leathers that will only improve with time. 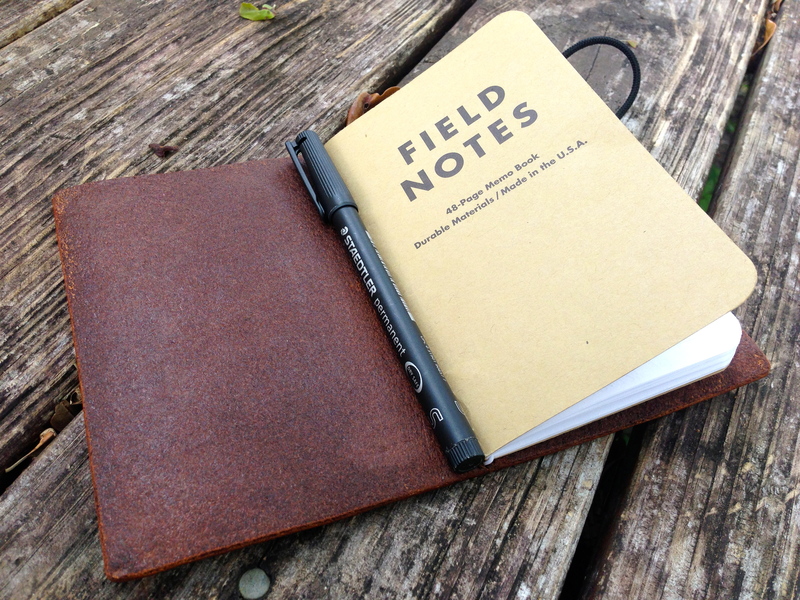 Use them on Field Notes Journals (3.5″ x 5.5″) or any similar size pocket journal of your choosing. This cover is super sturdy being made of 6-7 oz leather, yet compact enough that it won’t add bulk to your bag or pocket – however you carry it. Each cover is individually cut and finished with great attention to detail. 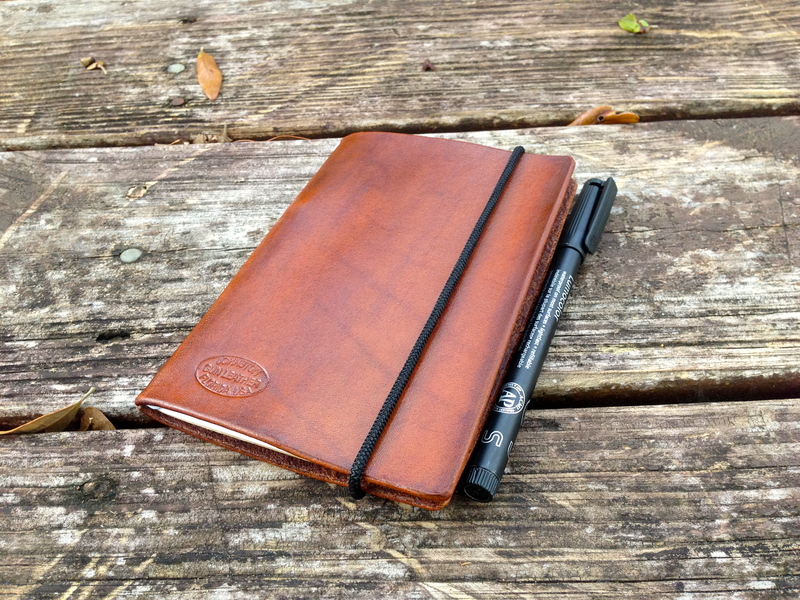 An elasticized cord holds the journal in and it’s easy to remove the notebook and slide a new one in! Keep your journal secure with the supplied black shock cord that wraps vertically. 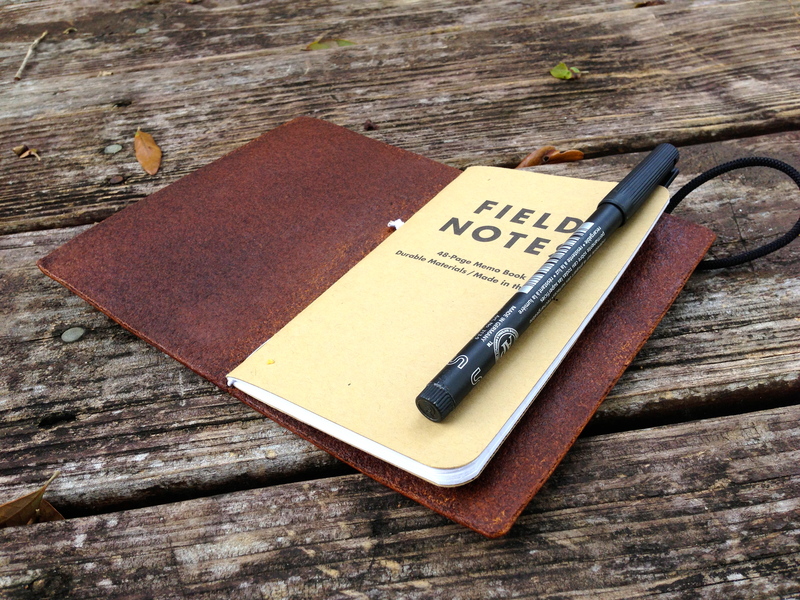 While you may have to periodically replace your Field Notes Journal, this journal cover will last a lifetime! The cover is 5 3/4″ x 3 7/8″ and is hand made in Palm Harbor, FL USA. Available in light brown (pictured), mahogany and black. $30 plus $5 to ship. Field Notes Journal not included, this is for the leather cover only. Contact me at chad@johnstongunleather.com today to order yours.